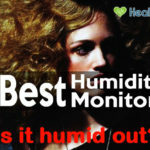 Is the air in your home making you sick? 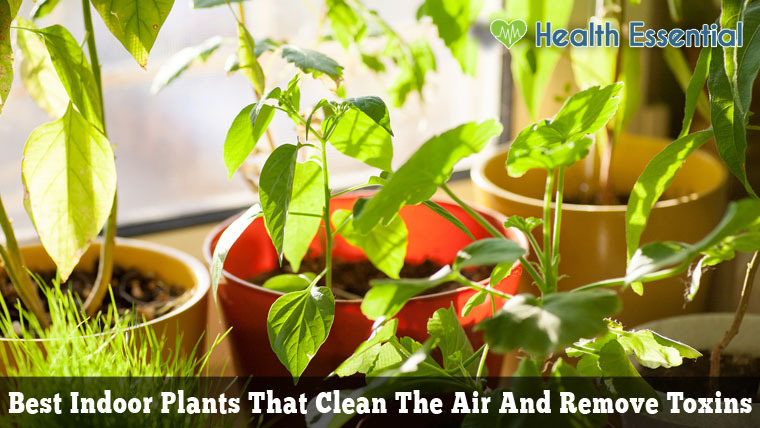 It is no secret that plants continuously purify and clean the air. These indoor plants not only positively influence the overall feel of a room but also improve your health by continuously cleaning the indoor air of pollutants. Indoor plants not only drastically decrease the airborne dust levels but also remove toxins like formaldehyde and other harmful toxins emitting from your furnishings, clothing, and fuel. The question that baffles you is probably how plants clean the air. Think of your indoor plants as sponges that absorb all the toxins and dust; a sort of indoor, natural systems that continuously cleans and re-cleans the air. And the best part is how little of an investment these green wizards are! The answer is Not many! According to a successful study done by NASA on indoor pollution, they found that you need a single pot of plant per 100 sq ft of space. It is worth knowing what plants effectively remove what toxins; we have compiled a list of fifteen plants and their properties. An easy find at garden stores, this affordable plant has been commended by NASA for its air purifying qualities. The pollutants this plant effectively removes are formaldehyde, Xylene, Benzene, and Ammonia. If you are someone who is busy and needs plants that do not require tending – this is the plant for you. Easy to grow, these plants thrive on indirect sunlight. Spider plants can be used to remove Formaldehyde and Xylene in the air. This easy to grow plant is more suited to homes without pets, as these plants have been found to be toxic to dogs and cats. Most Dracaena plants can survive in homes with low lights and infrequent watering. The air pollutants removed are Formaldehyde, Benzene, Trichloroethylene, and Xylene. 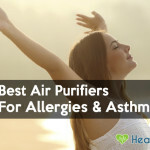 If you are someone with pollen allergies or a sensitive nose you should look at alternatives. As long as you are wary of over watering, peace lilies are small, easy to grow plants that tend to flower during summers. These plants remove Ammonia, Benzene, Formaldehyde, and Trichloroethylene. Slightly high-maintenance, these plants need a humid environment to thrive. Like most indoor plants, Boston Fern does not need direct sunlight but does need a moist soil. Boston Ferns can be used to rid the air of Formaldehyde and Xylene. Commonly found in indoor settings, this plant has long leaves with green and yellow stripes. Advertised as impossible to kill, the snake plant can survive long periods of drought. The only requirements for this plant are some sun and occasional watering. Low maintenance, they effectively remove Benzene, Formaldehyde, Trichloroethylene, and Xylene. Able to survive in a variety of temperatures, these plants do not need direct sunlight to survive. The plant itself has long drooping leaves and can grow up to 12 ft high. These low maintenance plants are best for removing Benzene, Formaldehyde, and Trichloroethylene from the indoor air. The leaf of the aloe has been known to have immense healing benefits in addition to successfully removing Formaldehyde from the indoor air. Easy to grow and low maintenance, the aloe cannot survive in still water. Essentially, a desert plant, the aloe can survive in extreme temperatures. A beautiful addition to any indoor setting, these members of the sunflower family have bright colored flowers. In addition to adequate watering, the plant does need a minimum of 6 hours of sunlight to grow flowers. Gerbera daisies remove Formaldehyde, Benzene, and Trichloroethylene from the indoor air. Thriving on low, indirect sunlight, the pretty Azalea blooms last longer in colder temperatures. However, you have to keep in mind that these plants require frequent watering and need a humid environment to bloom into a gorgeous shade of pink. Planting Azalea indoors removes Formaldehyde from the air. Known for its climbing vines and rustic look, the English Ivy effectively remove indoor pollutants such as Formaldehyde, Xylene, Trichloroethylene, and Benzene. Low maintenance, these plants do not need direct sunlight. However, these plants need thorough watering, cannot handle salt water and thrive best in distilled water. Thriving on indirect sunlight, these plants do not require a lot of looking after. Chinese evergreens can survive on infrequent watering and tend to bloom. Considered one of the best plants to remove indoor pollutants like Benzene and Formaldehyde, the Chinese evergreen is known to remove more and more toxins as time passes by. You often see these plants in hangings; their vines grow around a support pole. Easy to grow, these plants can survive in a wide range of weather conditions. More suited for smaller spaces, this NASA recommended plant not only removes toxins like Formaldehyde, Benzene, and Carbon Monoxide but also increases oxygen levels. An indoor plant that is not only low maintenance but also has lesser problem pests; Bromeliads can easily survive in drought like conditions. The plant itself has numerous species and some thrive in direct sunlight while others thrive in indirect sunlight. Colorful and vibrant, these plants effectively remove indoor air pollutants such as Formaldehyde, Benzene, and Acetone. English Ivy is considered the best air-filtering house plant! Bamboo plant has a purifying score of 8.4! Spider plant also made the list!